Russ Johnson, the CEO of LMH, talked about the new LMH Health West Campus development that broke ground in September 2018. Joining him were Rebecca Smith, Executive Director of the LMH Health Foundation, and Karen Shumate, Chief Operating Officer and project manager for the new facility. 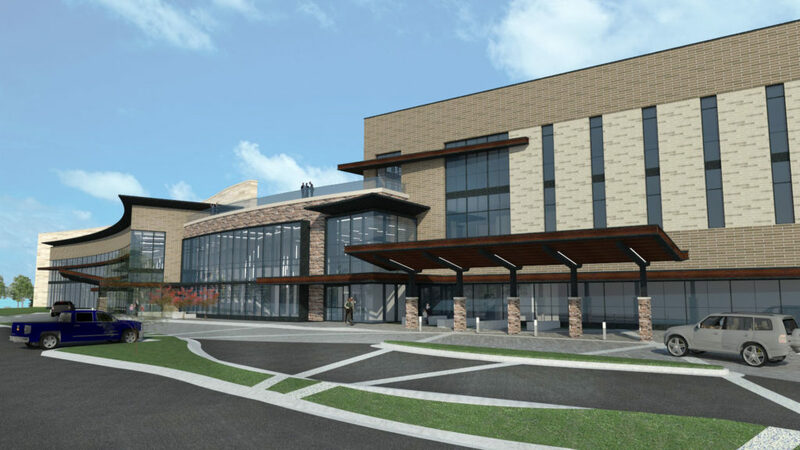 The West Campus expansion has been designed to provide outpatient services, the primary source of revenue that is anticipated in the health care industry in coming decades. The location of the new facility on Highways 10 and I-70 will be convenient for healthcare consumers. Plans for easy and adequate parking have been highly important in the plans, as the current hospital location lacks adequate parking. 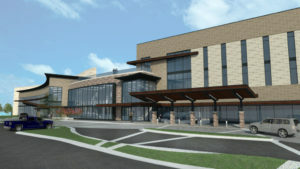 LMH West Campus will be 35-40% of the space at the current hospital. Johnson expects the new building to be ready for occupancy in July 2020. Shumate highlighted key features in the floor plan of LMH West Campus. The goal is to build something “nice, but not ostentatious.” The building incorporates flexible space and room for expansion. There will be an outdoor ampitheater and a roof garden. LMH physical therapy services, OrthoKansas, a pharmacy, a lab, and several local physician practices will relocate. The second floor will be a Women’s Center, providing a continuum of care for breast patients at one location.